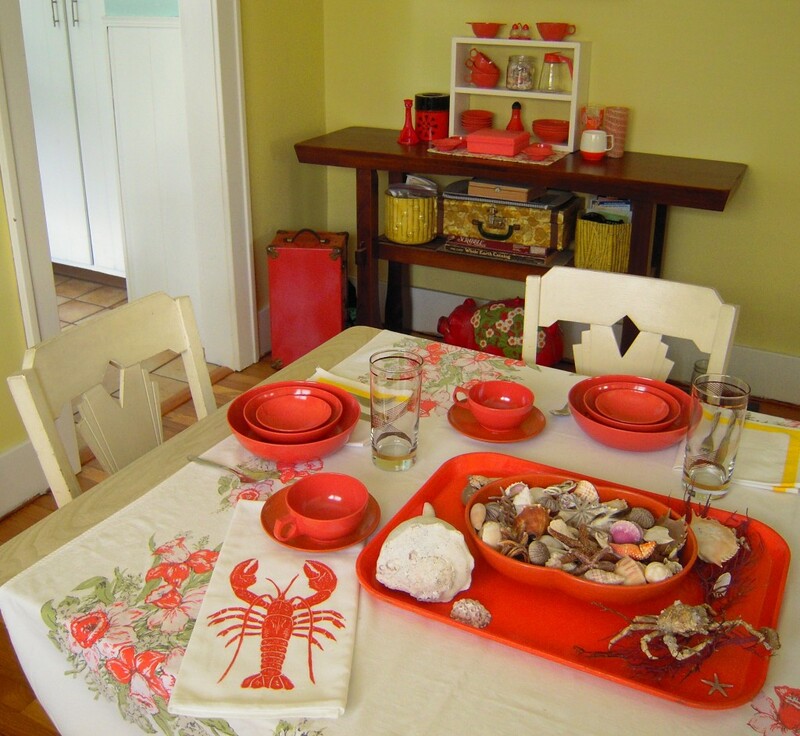 The weather is getting warmer and warmer as Spring arrives and this coral color adds some serious punch to the house! I’m imagining this dinner to be salad, pasta, and a lovely little dessert in the stack of melmac bowls. The vintage tablecloth is unusual but fitting with its coral daffodils, and my fun artgoodies lobster towel fits right in with the centerpiece of treasures I’m still enjoying from last months vacation! Even the light comin into the house is getting better! Fave pieces are the leaf glass on the right, the canister from Japan on the left and the cute plastic slide holder case! 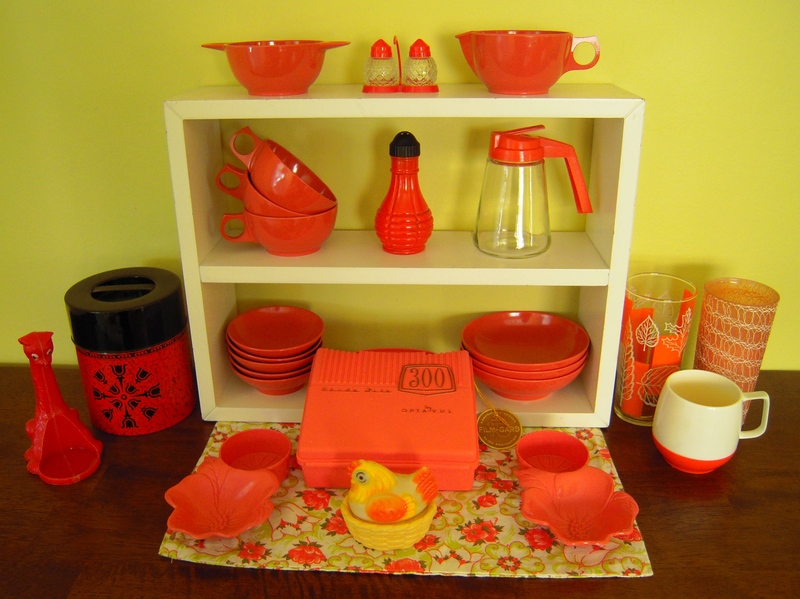 The dogwood nut cups are darling and the little salt and p’s in the caddy too cute!